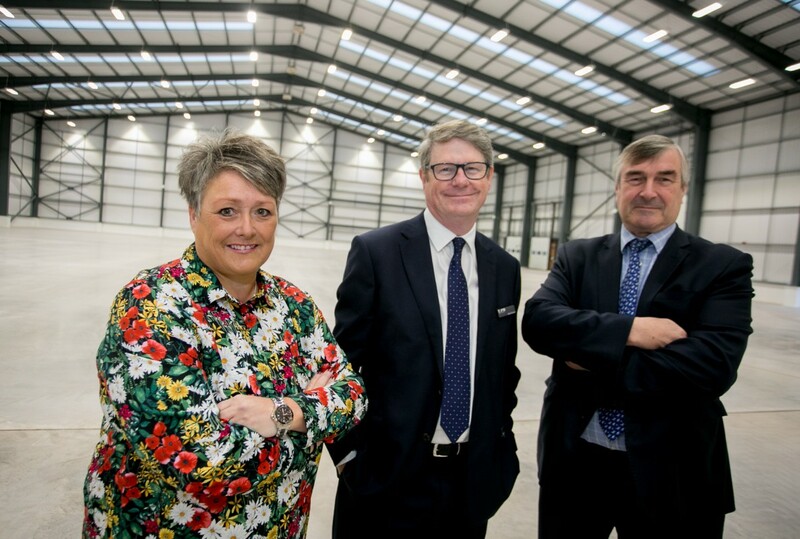 The latest industrial unit to be completed at a multi-million pound speculative development in the Black Country has been officially unveiled. Unit C, Prime Point, a 41,864 sq ft unit is the final building in the first phase of the development at The Pensnett Estate, Kingswinford, by LCP, the national commercial property and investment company. Commercial property agents from across the region, as well as officials from Dudley MBC and Black Country Local Enterprise Partnership (BCLEP), were invited to the launch of the unit. It follows the announcement this week that Certas Energy, Britain’s largest independent distributor of fuels and lubricants for business and homes, is to relocate to the 40,000 sq ft Building D at Prime Point, having agreed 20-year lease. Earlier this year, ERIKS, Europe’s largest industrial services company, agreed a 15-year lease on a 30,000 sq ft unit, while International Piping Products (Europe) Ltd agreed a 10-year lease on a 21,740 sq ft unit, where it is manufacturing bespoke fasteners and machined components predominantly for the oil and gas, power generation and aerospace industries. Nick Burgess, LCP managing director, said: “Prime Point is a significant investment for the company, but we recognised there is a need for industrial buildings of this size and quality in the region. The decision to develop Prime Point on our flagship industrial estate is already paying off, which is good news for the area. The Black Country Local Enterprise Partnership (BCLEP) has been supporting LCP with the development. Prime Point sits within DY5, Dudley’s business and innovation enterprise zone, which qualifies occupiers for benefits, including up to £55,000 a year business rate discount over a five-year period. The Pensnett Estate is one of the largest secure business estates in Europe, and home to 160 businesses in over 2.4 million sq ft of commercial property. Three years ago, LCP invested £1.5 million in Progress Point, a speculative development on the estate comprising 21,000 sq ft of high quality warehouse and industrial space. For details about Prime Point, contact Paula James on 01384 400123 pjames@lcpproperties.co.uk, or agents Matt Tilt, of Lambert Smith Hampton, on 0121 237 2347 or James Bird, of Bulleys, on 01902 713333.